!! OMG, she quits: Twiggy !! Twiggy is quitting America’s Next Top Model! The judging panel will never be the same! How will the conversation sustain itself? Who will make us laugh? Oh, whoops. I thought I was talking about Miss Jay for a second. I think actually the panel will be more entertaining without boring, old Twigs hanging around. 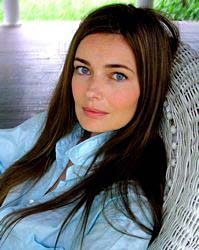 Her replacement is former supermodel Paulina Porizkova. She was big in the 80s, just like Janice Dickinson. Hopefully she’s just as nuts! 1 Comment on "OMG, she quits: Twiggy"